We gathered in Luzon and we explored the islands. We discovered enchantment in Caraga, tropical splendor in Palawan, and whitewater adventure in the Cagayan de Oro. We dined on Chicaron, Adobo and Lechón, we reveled in the Filipino culture, and we quickly fell in love with ‘The Pearl of the Orient.’ We discovered that over 7,000 islands make up the Philippines, but boundless stories define it. We want to hear your story about TBEX Asia Pacific 2016. Whether it’s a story about the conference, the breakout sessions, a party, or what you learned that is changing how you work and grow. Whether it’s a story about someone you met, a business deal you arranged, or an idea you have for a new project. Whether it’s an experience from a pre-bex activity, a post-bex FAM trip, or whether you connected something about the Philippines to the ongoing narrative of your personal travels. Please share the content you created for the Philippines as a result of your experiences with TBEX Asia Pacific 2016. Only submit stories related to your attendance at TBEX, participation in the events, and your time spent exploring the Philippines. Do not submit previously published work. We want stories, videos, photography, podcasts, etc. All forms of content and storytelling is welcome. Here are the details of the story I published on my first experience with TBEX. I’ll be sharing more stories on my experience and tips. This video shows a visit to the UNESCO site, the Rice Terraces of Batad and Bangaan near Banaue in the Philippines. Getting there is half the fun, riding on top of a Jeepney. I visited with TBEX Philippines along with Joma Isidro, Mike Aquino, Tianna Gratta, Alicia Webb, Richard Collett, Linda Aksomitis and Anita Sane. Who am I forgetting? One of the highlights of my TBEX experience was our photo walk in the historic district of Intramuros – I took so many beautiful photos! Afterwards I put together a B&W photo essay of the historic San Agustin Church, Manila’s UNESCO listed site and a must-visit for all visitors. Thanks for including us in your roundup! I was daily vlogging throughout TBEX Philippines and have been uploading my edits to this playlist on my YouTube channel. Eventually it will host all vlogs including our trip to beautiful Coron, Palawan! There will also be posts in the future over on jellyjourneys.com, however they have yet to be written. 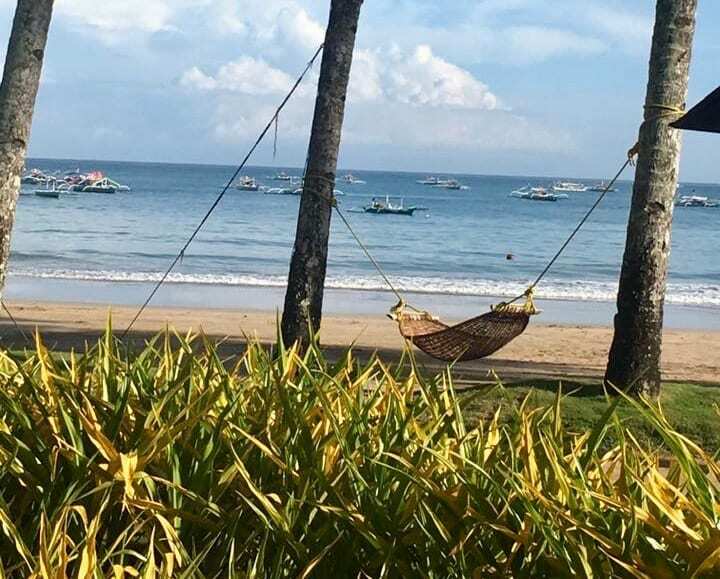 My second huge FAM / Press Trip to the Philippines – How to work with #TBEX, and how to do it right! How I went to TBEX again, and what I learnt! A Tale of two Spanish Cities FAM Trip. What Makes Coco Grove Beach Resort the Place To Be in Siquijor?